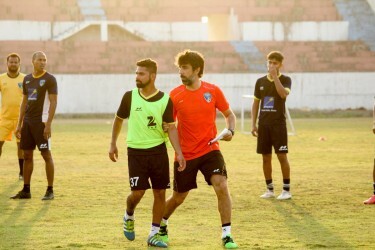 Fateh Hyderabad FC will be looking to continue their unbeaten run from the preliminary round of the I-league second division when they face LoneStar Kashmir FC at Gachibowli Stadium, Hyderabad on Saturday. Fateh Hyderabad are in good form in group C as they have won their last two matches against Pride Sports and Ozone FC. The team has conceded only once in the entire preliminary round. Meanwhile, LoneStar were also table toppers in group A. The Kashmir-based club has experienced mixed form, winning three, drawing one and losing two of its games. 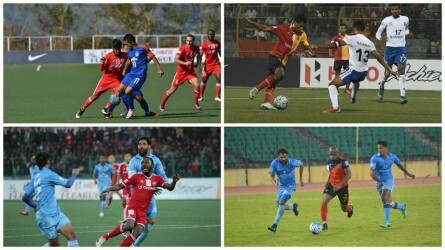 Hyderabad coach Yogesh Maurya will have no issue to go with the same starting XI which earned him all three points in their last match against Pride Sports, a game in which Fateh did not concede any. LoneStar head coach Hilal Rasool will also have all players at his disposal and is most likely to go with the similar starting XI which won against Sudeva Moonlight FC in their last preliminaries. This will be the first clash between the two sides. 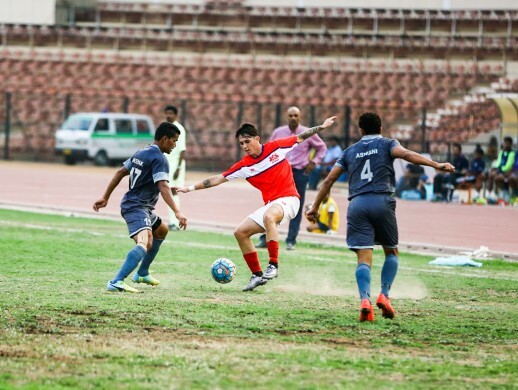 Luis Santos- Fateh Hyderabad FC: The Portuguese winger is getting better after every match. Santos is known for his darting runs on the wings and pinpoint curled passes into the feet of his teammates. The winger is quick with his feet and is also known for surprising the opposition keepers with powerful shots from distance. If the Hyderabad club is looking for maximum points from the difficult encounter against LoneStar, Santos will have to continue his high-flying performance. Aakif Javaid Reshi – LoneStar Kashmir FC: The 25-year-old has been in a great form with the Kashmiri club. He has scored four out of team’s six goals in the qualifiers. The frontman is known for quick feet and his control on the ball while on the run. With his skilful feet and clinical finishes, the striker will be the man to stop for the Hyderabad club. Fateh Hyderabad FC: (4-4-2) Anand Mohan (GK), Gurtej, Mitter, Kannan, Santos, Jyal, Tamang, Nongmeithem, Gonsalves, Meitei, Hakku. LoneStar Kashmir FC: (4-4-2) Harpreet (GK), Hammad, Kumar, Shah, Akhtar, Qayoom, Ahmad, Raina, Javaid, Nagial, Inder. You can read preview and match report only on KhelNow.com.